Egyptian stock market started the week lower with losses estimated at 795 million Egyptian pounds on local selling pressures. The market capitalisation recorded 611.726 billion pounds during the closing session of Sunday. 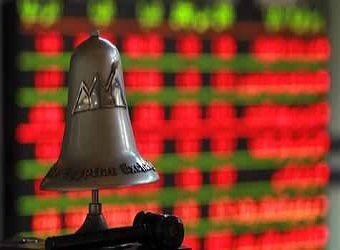 Egypt’s benchmark index, EGX30 dropped by 0.66 percent to 12722.08 points. The EGX50 EWI index slumped by 0.67 percent to 1937.24 points. EGX20 plummeted by 1.48 percent to 12381.21 points. In addition, the mid- and small-cap index EGX70 inched up by 0.45 percent to 462.6 points. The price index, EGX100 rose by 0.37 percent to 1131.85 points. On Sunday, the bourse’s trading volume has reached 288.775 million securities, with turnovers closed at 1.004 billion pounds, exchanged through 28,658 thousand transactions. Also during the closing session, 168 listed securities have been traded in; 77 declined, 57 advanced; while 32 kept their previous levels. Arab and non-Arab investors were net buyers on Sunday getting 9.3 percent and 11.42 percent respectively of the total markets, with a net equity of 44.673 million pounds and 75.302 million pounds, respectively, excluding the deals. On the contrary, Egyptian investors were net sellers seizing 79.29 percent of the total market, with a net equity of 119.976 million pounds, excluding the deals.